I’ve always believed perfection to be an illusion, and more so a matter of perspective. However, this breakfast really takes the prize when it comes to a balanced start to the day. It’s full of slow burning energy, gut-friendly probiotics, a gazillion different immune-boosting nutrients, plenty of protein and fibre, not to mention it’s also wholesomely delicious. Similar to an oatmeal breakfast, but tasting more like a gourmet delicacy, it’s flavour and consistency is quite unique. 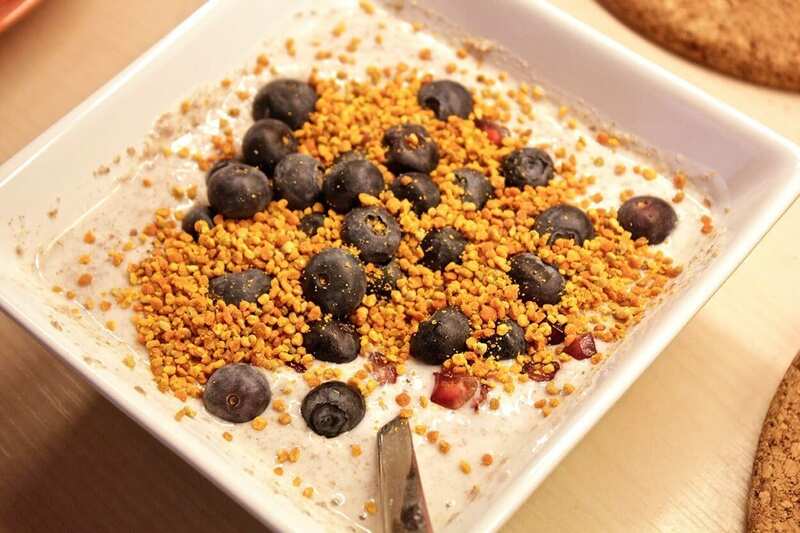 A combination of mineral-rich seeds and nuts whizzed up in a coffee grinder, and met in a bowl with organic kefir, bee pollen, a fruit of your choice and a dash of organic honey. You can either buy individual packets of various seeds and nuts, or get mixed packs that might have chia seeds or other good-for-you additions. It all depends on what’s available near you and what your preferences are. Remember that any nuts or seeds used in this recipe need to be 100% natural, uncooked and without added salt or sugar. We like to use flaxseeds as the bulk ingredient in this preparation, but you don’t have to. Try blending walnuts, hazelnuts and almonds together for a seriously nutty breakfast instead. That’s the fun part, you can try different combinations and see what you like best. Careful not to whizz for too long though, especially when grinding nuts, or you’ll end up with butter! 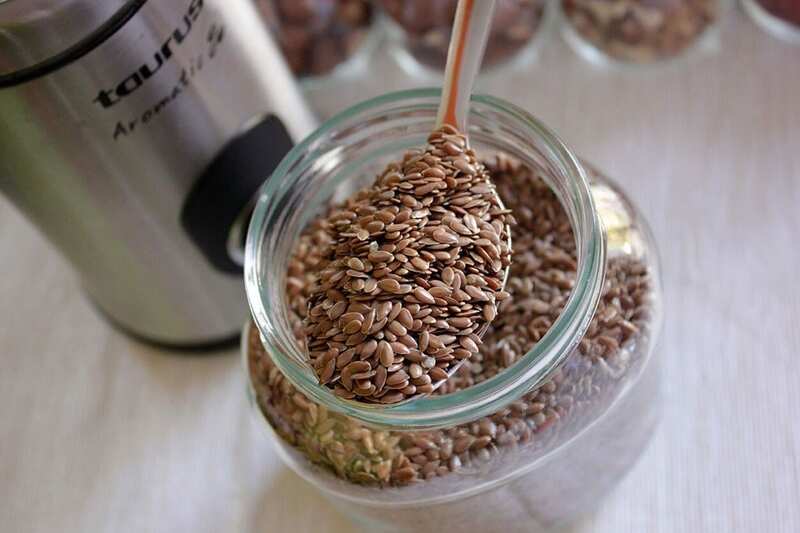 Depending on where you are in the world, you may find you can buy ready-ground flaxseeds in stores, such as the Linwoods Milled variety, available at Holland & Barrett and many other health food outlets. 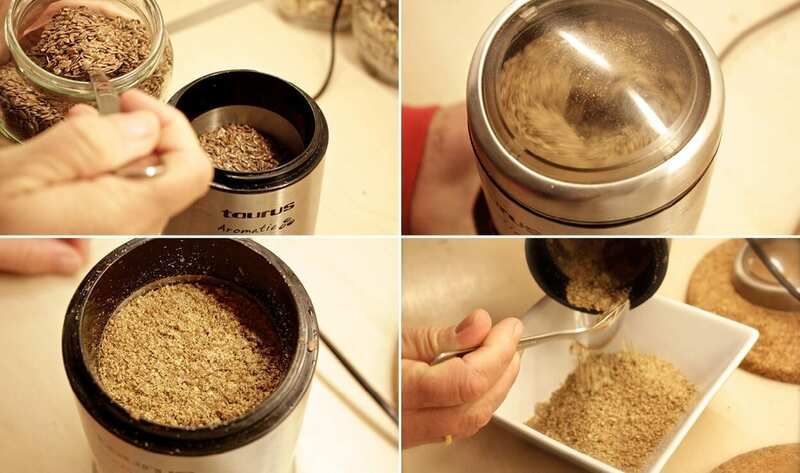 If you’re like us, and prefer to do it yourself, then any coffee grinder will do the job! And if you’re on the market for such appliances, we recommend something small, sweet and cheap, like this little guy available on Amazon. If you’re not familiar with eating flaxseeds, we recommend starting off with only one dessert spoon, even though our recipe uses four. It’s best to allow the body to become accustomed to the increase in fibre, and then gradually up your intake if you find all is well. For the ultimate in health benefits, we’ve kept all our ingredients organic, but it’s not a necessity. 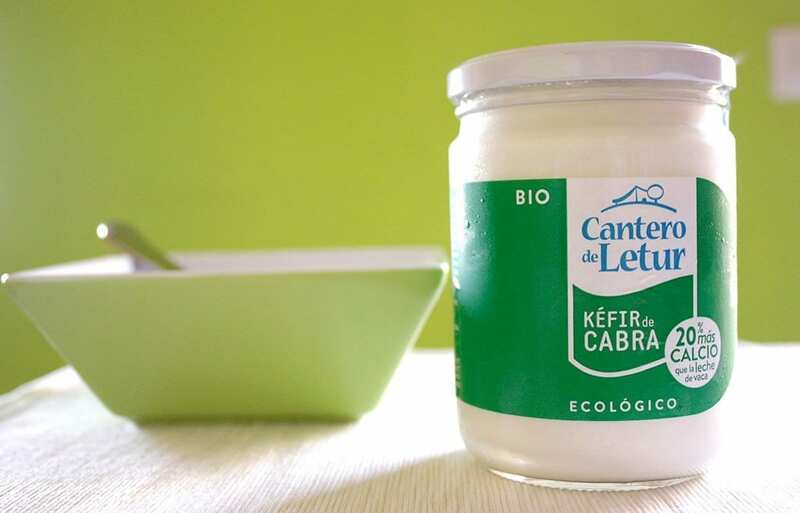 We’ve also used goat kefir, but cow kefir is just as good, if not better for those who aren’t fond of goats milk. It seems to be one of those flavours, you either love it or hate it! If you’re having issues finding kefir in your local area, then a tub or jar of all natural yogurt or Greek yogurt will work just as well. 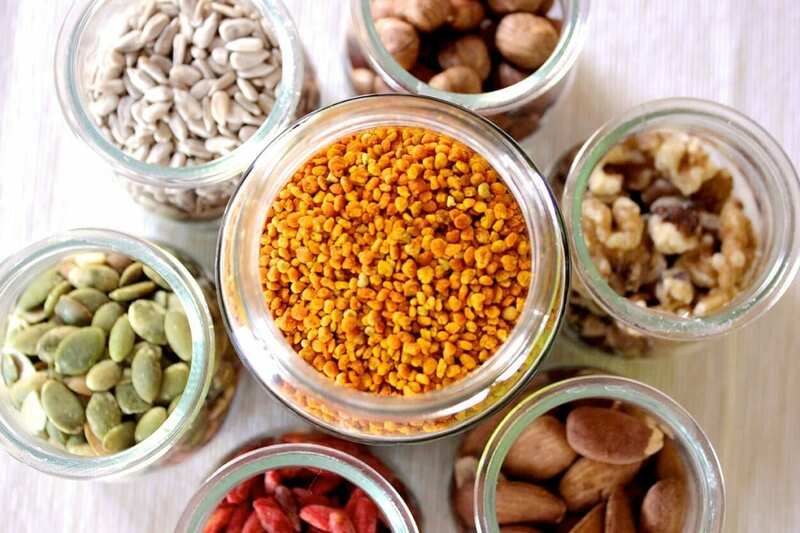 We like to keep a selection of all different types of nuts and seeds on display as different people in the household enjoy making their own breakfast concoctions. Don’t be hesitant to play around with the ingredients, and as for the topping, pretty much any fruit will work superbly! So far we’ve tried all manner of berries, bananas, mango and pomegranate. 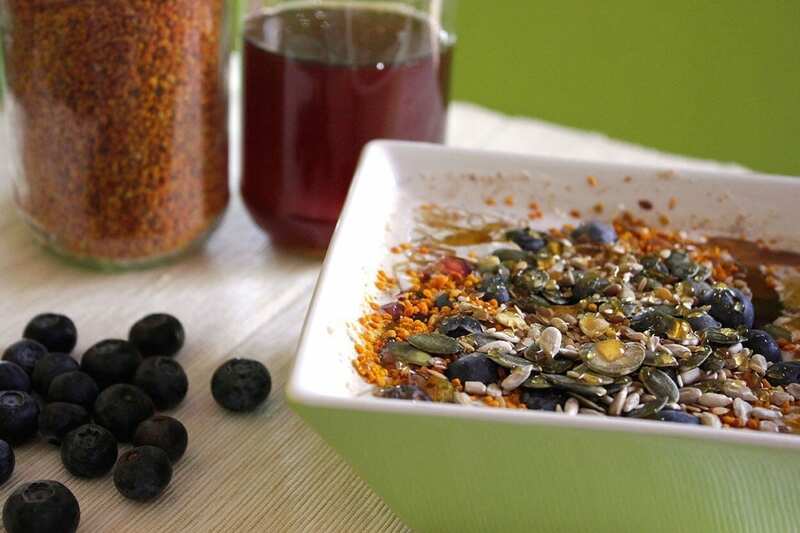 1-Whizz the flaxseed (and any nuts of your choice) in a coffee grinder for no more than 5 seconds and pour into a bowl. A small grinder is all you need for this task, preferably electric. These should retail for less than 20 bucks. Post-cleaning is pretty simple too, use a dry paper towel to wipe out the remnants after each use. 2-Next, add a good serving of kefir and then plop a handful of fruit in for juicy freshness. 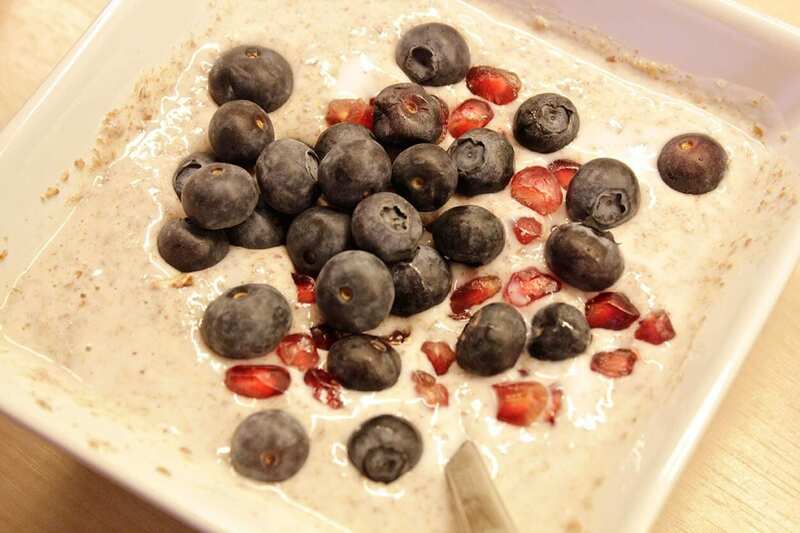 We can’t get enough of blueberries and pomegranate! 3-Pepper a teaspoon of bee pollen to introduce the magic. This really sweetens the deal. 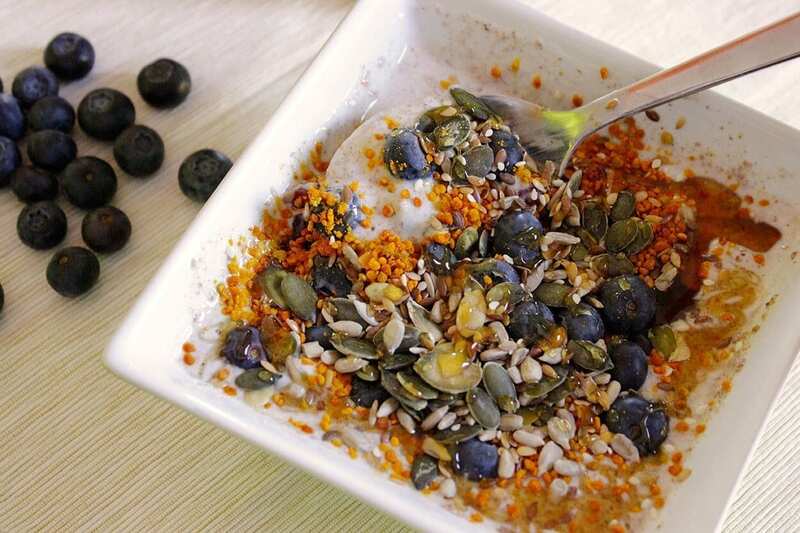 4-Sprinkle a fair amount of sunflower seeds, sesame seeds and pumpkin seeds on top with some goji berries. (This adds a nice satisfying chewy crunch to an otherwise soft meal). Then drizzle with as much honey as required. Voilà! Your breakfast is ready for mindful eating.